It is often said that Bermudians need to take initiative and make things happen for themselves. It is also said that Bermudians need to work together in order for things to happen. So as a community when we see our young Bermudians taking their God given talent and working together to make things happen the community must not only give credit where credit is due but support these persons in every shape and form. This Saturday November 5th will be an ideal opportunity for the community to express their support by coming out and attending an event that will showcase some of Bermuda’s best talent. They will all be backed by one of the greatest musical ensembles in recent times, The Wall Street Band. All of this will take place commencing at 7:00 PM sharp at the Earl Cameron Theatre located within the City Hall. 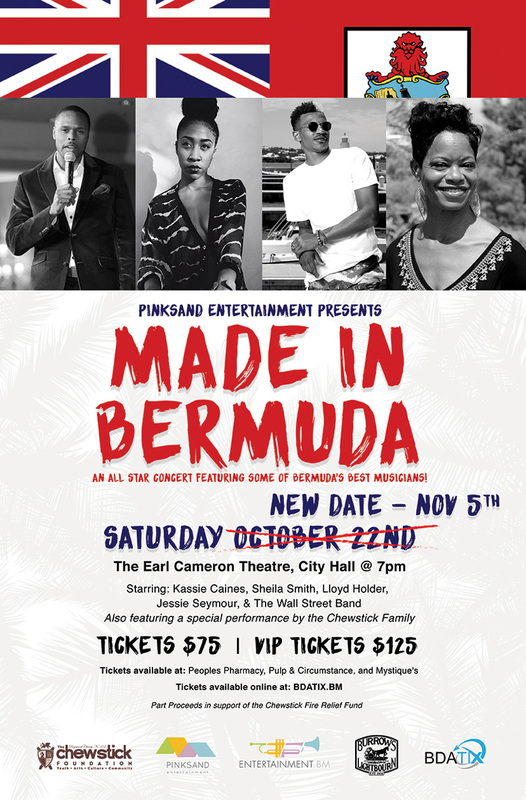 This is all being put together by PinkSand Entertainment who, for the last two years, have consistently put much effort into showcasing Bermudian talent in various forms. When most other promotional companies have invested hundreds of thousands of dollars into bringing in foreign acts whilst shunning Bermudian entertainment, PinkSand Entertainment has bucked the trend by focusing on giving their fellow Bermudians a professional platform from which to showcase their talents. Now is a time that almost everyone in our community speaks of the negatives in society concerning some of our young people and how they treat other young people. With this upcoming event we have a chance to support young Bermudians who are showing their support and dedication to other talented young Bermudians. It is time for us as a community to show what it really means to be Made In Bermuda. Hope it is well supported.